Josh and Eric have hosted film screenings, comedy shows, and have more events on the horizon. We love the opportunity to exhibit others' work as well as our own. 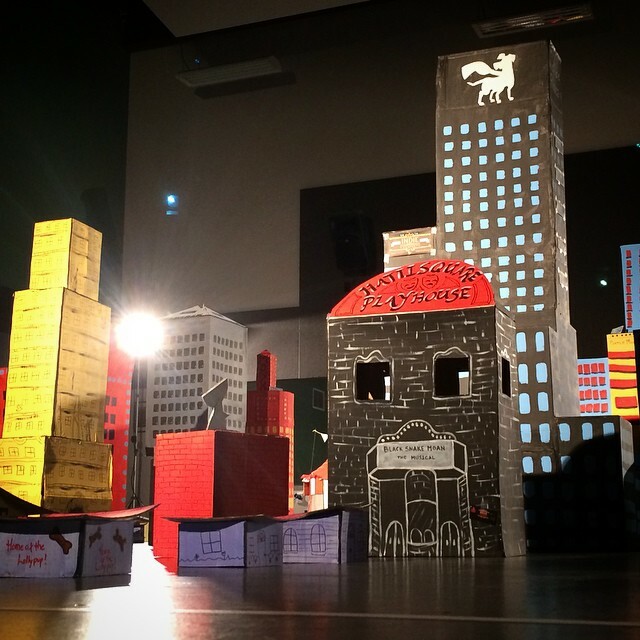 During the Indie Memphis Film Festival, in the upstairs installation space at Playhouse on the Square, we created a small cardboard city. Inspired by film miniatures and stop-motion animation, guests were encouraged to get in there and snap some photos using the tag #indiebristolville along with #indiememphis. Mayor Josh McLane introduced the city at the opening night receptions. Our friends from Piano Man Pictures helped us document the process. And on the closing day of the festival there was a battle between Godzilla and Schwarzegator that led to the desturction of the city. Our friend Tyler Hildebrand will be showing his first feature film. "Wallace" is a guerrilla art film that has been created as a companion piece to Tyler's MFA Thesis at Memphis College of Art. Eric helped shoot it and Josh makes an appearance within the film. This film is not for the faint of heart. There is adult language and content.